The history of porter isn't as easy to nail down as it is with other beers. There are a few details that are generally agreed upon, though. It was developed as a recipe for one beer that mimicked the result of the popular practice of combining beers, usually brown and mild ales. Thus it's original moniker was "entire." How it came to be called "porter" is a story lost to history though many cling to the darling story that it is because the porters of London were particularly fond of it. Porter was once the most popular beer in England and America. It's position was supplanted by pale ale which was in turn undone by Pilsner. But unlike pale ale which has always continued to sell well, porter all but died out on both sides of the pond. In the US, as with so many styles, Prohibition was the final nail in the coffin of the declining style. Britain saw it fail in part because of a beer tax based on OG. The craft beer revolution finally revived it at the end of the 20th Century. There are many broad interpretations of modern porter so general tasting notes are difficult. 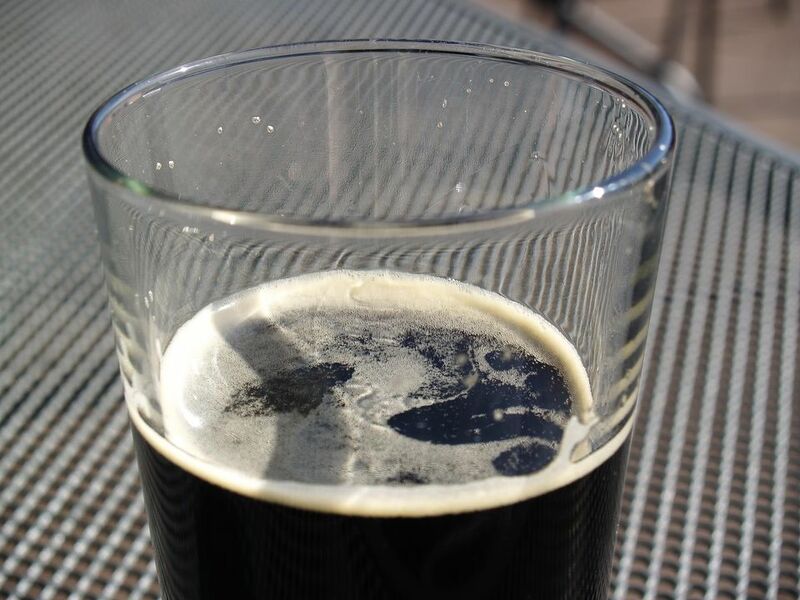 The brew is very dark, almost opaque, though it should be clear when light does find its way through. The nose usually contains mild notes of roasted grains, chocolate, and toffee. There can also be undertones of coffee or licorice. The mouthfeel is thin but not watery. The flavor is always mild with none of the harsh or bitter notes of stout. Porter pairs well with almost any meat dish. But since the brew is such a complex combination of mild flavors I typically enjoy it on its own.